On July 27, 2018 The Dodo published a superb expose by Elizabeth C. Alberts about the illegal wild-sourcing of African grey parrots with glue traps. Entitled “This is the Shocking Way Wild Parrots End Up as Pets” the article accurately portrays the cruelties of glue-trapping and other practices used in bringing wild-sourced parrots to the international black market. Sadly, the recent black-market surge was largely avoidable: the poorly conceived up-listing of African greys from threatened to endangered status perversely increased the market share and number of illegally wild-sourced greys by throttling legitimate trade in aviary-raised parrots. In the five years prior to the vote to designate African greys as endangered, aviary-bred grey parrots, primarily from South Africa, supplied approximately 80% of the grey parrots in international trade. That nascent industry had annually increased its market share. In short, four years after the greys were designated threatened, the aviary industry was rapidly supplanting wild-sourcing. In addition, the US and the EU, initially the regions with greatest demand, had banned imports, so their domestic aviaries presumably largely satisfied local demand. International demand, however, continued as the popularity of African greys grew in Asia and the Mideast. After African greys were designated endangered, the Asian price remained largely unchanged: prices provided informally by some South African breeders indicate the price when designated as threatened was approximately $300/hand-fed aviary grey and $400-500/pair wild-source grey. and when designated endangered about $300-500/wild-sourced bird, with hand-fed aviary greys unavailable due to a dearth of export permits. In short, the up-listing throttled aviary-bred supply, drove return of a larger market share of wild-sourced greys, and so enriched and rewarded those engaged in the black-market wild-sourcing of birds. Instead, as the prices above indicate, after the up-listing, it would seem, under conventional market analysis, that wild-sourced supply expanded even more than the equivalent aviary supply contracted, creating an oversupply which brought the price down slightly in the black market. Thus, the up-listing paradoxically destabilized the market and tragically appears, assuming constant demand, to have incentivized an increase in the number of greys wild-sourced per period, creating precisely the conditions depicted in the Dodo article. October 2, 2016, the 17th Conference of the Parties (CoP 17) of CITES, the Convention on International Trade in Endangered Species of Wild Fauna and Flora, voted by secret ballot against CITES own Secretariat’s recommendation to reject Proposal 19, the proposed up-listing. The new listing on Appendix I would impose an exceedingly burdensome export permit system on aviary parrots. The True Green Alliance reported that, of the conference’s 35,000 attendees, approximately 66% were non-voting observers, who had paid for the privilege of presence to lobby voting parties. IFAW, the International Federation for Animal Welfare, one of the world’s largest animal rights organizations, sent 38 representatives: animal rights activists, who oppose pet markets and aviaries in principle, appeared in force at CoP17. As reported by World Parrot Trust, (WPT) implementation of the African grey up-listing occured January 2, 2017. The anti-pet and anti-aviary animal rights impact on the outcome at CoP17 should not be ignored. An online petition from WPT, mobilized popular opinion in Europe and the US in favor of Proposal 19, the proposed up-listing. Yet, in fact, over 490,000 aviary-raised greys were also legally exported, either in addition to or as a subset of this 1.3 million. 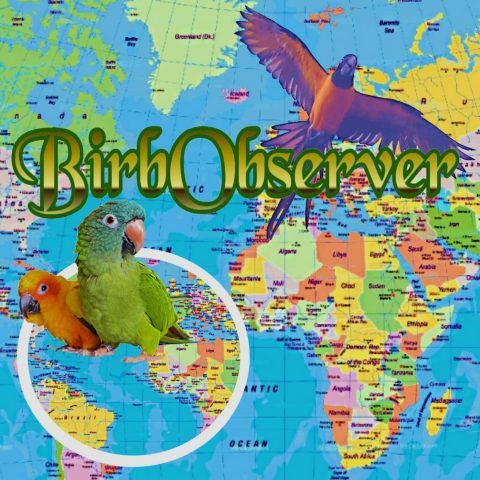 * And for the last five years of the Threatened listing, aviary bred supplied approximately 80% of the international market. The national regulation required by the Appendix II threatened listing in 2012 had hardly had time achieve compliance, yet Proposal 19 argued that the system was unequal to ensuring the grey’s survival. However, regulatory ineffectiveness is not a recognized grounds for up-listing within CITES. Nor does political science support dismissing the effectiveness of a regulatory program which has hardly had the time to be implemented much less have fully developed enforcement policies and practices and so stabilized. It’s patently unreasonable to expect such magical results, especially when considering that implementation had to occur in underdeveloped economies with substandard technologies and communication systems. Furthermore, those citing such grounds in support of Appendix I listing failed to demonstrate why compliance issues could not be addressed on a state-by-state basis geared toward solving problems on the ground, rather than impose yet another new regulatory regimen for implementation on a global scale. That would seem to penalize those that had complied. Typically, endangered status is granted due to habitat loss. The CITES Secretariat expressly recommended Proposal 19 be rejected for this reason. According to Proposal 19 at the time of the unusual secret ballot, South Africa had over 1,600 African grey aviaries with a breed stock base of over 97,000 greys. Under Appendix I, exporters obtain export permits from their national authorities. Subsequent to the January 2017 implementation, permit requirements were made yet more burdensome. Specifically, aviaries had to demonstrate that birds for export were at least two generations removed (F2) from wild stock (grandchildren of wild stock). This was particularly unfair to South African exporters because their national regulatory body had not previously required the import records necessary for such a showing. In addition, the permitting process has been agonizingly slow. Nearly two years after implementation, only 81 South African aviaries have obtained export permits. Aviaries have shed employees and filed for bankruptcy, unable to feed their stock. The unavailability of export has meant a local market glut. The local price for an aviary bird has plummeted to approximately $100/parrot. Aviaries’ inability to survive on just the local market has endangered the health of thousands of greys as the quality of food supply erodes from pinched pennies. It appears an animal rights’ bias against pet market suppliers prevailed in gaining the up-listing. Doubtless, well-intentioned pet owners naively and trustingly signed the Wildlife Conservation Society’s online petition. As our Editorial indicates, petitions ostensibly offer a risk-free opportunity to do good. Yet they too have contributed to the current perverse incentive structure for wild-capture. The Dodo article includes photos and video footage from a WCS parrot rehabilitation facility in the DRC subsequent to the up-listing, when poaching incentives reached their height. The images haunt with the damage wrought on these amazing creatures. We applaud Wildlife Conservation Society‘s (WCS) and similar organization’s rehabilitation efforts, but note that had the petition accurately accounted for the legitimate role of aviaries in supplying domestic markets, the need for such intervention never would have been so great. Likely, the naively trusting public would not have signed petitions designed to put legitimate suppliers out of business and increase black-market incentives. The need for the valuable work of these organizations continues, by virtue of their hand in creating the current desperate situation. For video of the rehabilitation work done at WCS’s Bronx Zoo Rehabilitation facility in DRC, click here. * This is disputed, in large part, it would seem due to the inherent imperfection of the trade statistics on which it is based. Previous Previous post: BirdsEyeView: Animal Rights: Does your bird have “personality”?